This is the Legacy Arms / Generation 2 version of Henry V's sword from his memorial in Westminster Abbey. Henry V was not just a ruler but an accomplished warrior who began fighting as early as age fourteen, when he fought the Welsh forces of Owain Glyndwr. Throughout his life, Henry V fought in many battles including against the French at Agincourt, immortalized by William Shakespeare, Lawrence Olivier, Kenneth Branaugh, and Thor's brother Loki. This magnificent (sharp!) 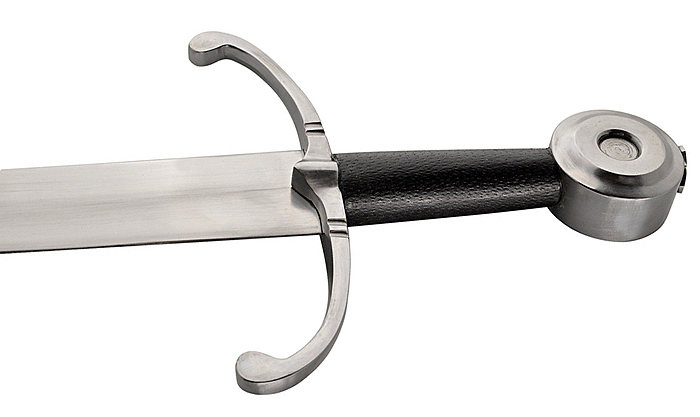 reproduction exemplifies attributes of a knightly sword of the highest quality. 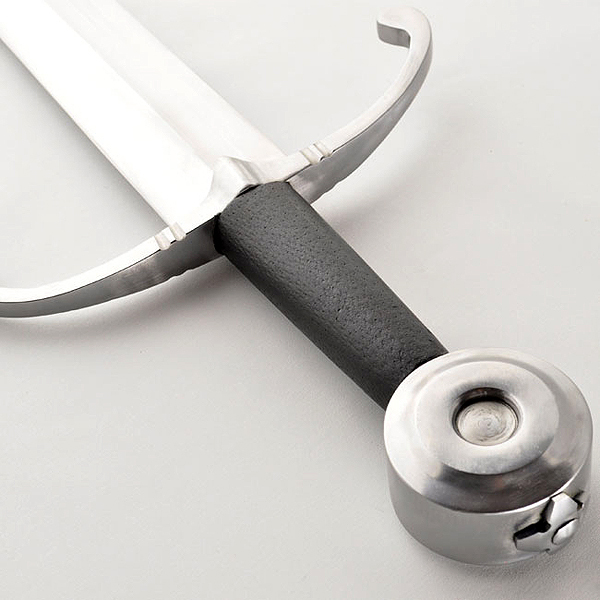 It has superb balance making it an exceptional fighting sword with excellent point for thrusting. The hollow ground blade is 5160 high carbon steel with a full tang (see the rosette in the pics above?) 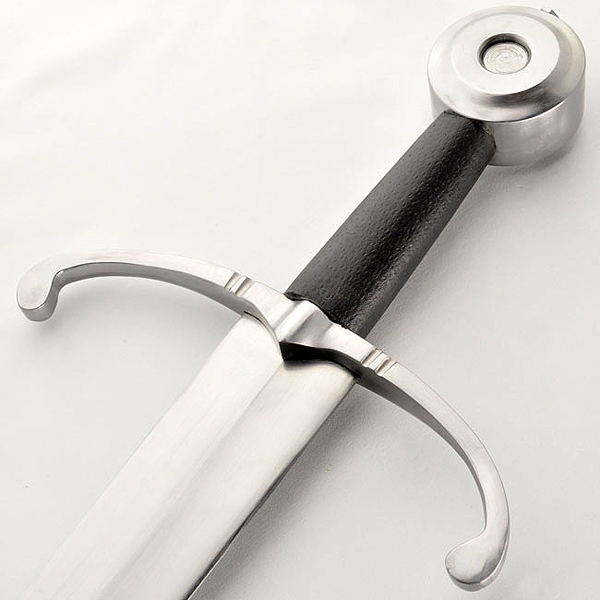 The hilt is a black composite grip with a stainless guard and pommel, and a black wooden scabbard with stainless fittings is included.